The Niger River Basin Agency recently launched a website to collect and share data on the river's water quality. The objective of such an initiative is to make public, all information on the pollution of the Niger River to raise public awareness on water quality. The Niger River flows through six West African countries: Sierra Leone, Guinea, Mali, Benin, Niger and Nigeria. During its 4,180 km long journey, it is regularly polluted by human activities carried on in these different countries, in particular by pesticides used in agriculture, household waste or the dumping of waste water. River Niger when crossing West Africa, passes through large cities such as Kouroussa or Bamako, where pollution spills on a large scale, threatening the health of riverside populations. But for the past eight months, the Niger River Basin Agency, with the help of the NGOs Akvo and Via Water, has been working on the creation of a website which was launched on Monday 2 April 2018. This is only the first phase of the project which consists in collecting data on the river, around Bamako, the Malian capital. To ensure the smooth running of this operation which will be conducted by 12 agents over 22 km, Akvo has developed the Akvo Caddisfly application, which facilitates the collection of information. For that, the agents will have at their disposal a rather sophisticated arsenal: sensors, strips and submarine drones. 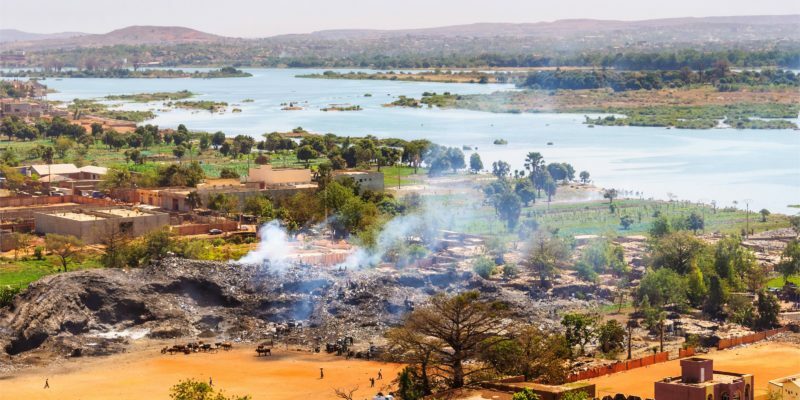 According to Baba Farady N’diaye, who controls the ecosystem protection and management project at the Niger River Basin Agency in Bamako, all the garbage produced by the people ends up in the river. “Industrial and artisanal units, such as tanneries, dyers etc. all dump their wastewater directly into the river,” says Baba Farady N’diaye. Sikasso, a region located upstream from the Malian capital, is mainly agricultural (mostly sorghum and millet) and fertilisers flow into the river. A little further on, in Kangaba, it is the gold panning that contributes to the pollution of the third longest African river after the Nile in North Africa and the Congo in Central Africa. To extract gold, a number of toxic products such as mercury or cyanide, which is found in river waters, must be used. From the data collected, researchers will determine the ph, nitrates, nitrites and chloride levels in the watercourse. All this information will then be published on the site in full or simplified version, in order to make everyone aware of water quality.